Gluten-Intolerant: Myth, Meme or Epidemic? How does one figure out if they’re gluten intolerant or if they have celiac? What does it mean to heal? Oren Lyons, the chief of the Shenandoah, said this to the United Nations in 1977. Power is not manifested in the human being. True power is in the Creator. If we continue to ignore the message by which we exist and we continue to destroy the source of our lives, then our children will suffer. I must warn you that the Creator made us all equal with one another, and not only human beings, but all life is equal. The equality of our life is what you must understand and the principles by which you must continue on behalf of the future of this world. Economics and technology may assist you, but they will also destroy you if you do not use the principles of equality. Profit and loss will mean nothing to your future generations. If you or a loved one have benefited please give back. This site has many costs. Support Beyond Meds – If you’d like to regularly support Beyond Meds in a small but simple way, you can Enter Amazon via a link from this blog and do the shopping you’d be doing anyway. Click below. All dogma is fear. One might even say all belief is fear. Belief and dogma are different shades of the same color. – travel lightly through the beliefs of others…all that written on this site too….feel free to discard whatever you pick up as soon as it is no longer helpful. 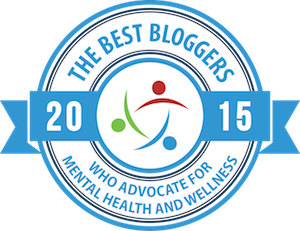 Blogmetrics: Top mental health blogs. No 3 Ultimate Rank. No 1 in monthly traffic. All content by Monica Cassani on this site is under a Creative Commons Copyright. Feel free to copy and share with link to the original. Any article with other named authors retain copyright as they see fit. Please get permission from them as necessary. Thank you. I often publish authors whose articles I appreciate but I may not always agree with all that is said. My pieces, also, cannot stand alone. Pieces of my work contain ideas that may sometimes seem to contradict other pieces because all cannot be said in a short essay on any given subject. It's wise to not make assumptions based on a few pieces of writing. My attitudes have also not remained stagnant over time and the archives reflect the passage of time. The same holds true for my blogroll. I by no means agree with everything all the authors share. Some article may contain links to other resources on the Internet. 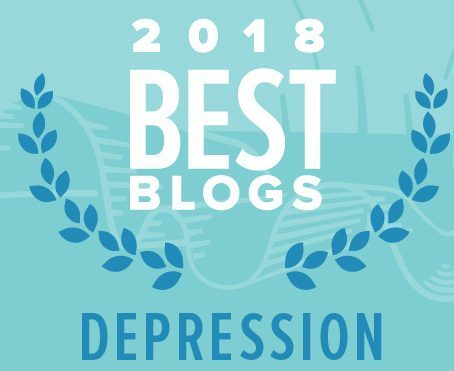 These links are provided as citations and aids to help you identify and locate more information are not intended to state or imply that this site recommends, endorses, supports, sponsors, or is in any way affiliated or associated with any person or entity associated with the linked material. Use your judgment in all things. Nothing on these pages should be construed as medical advice. Some links to Amazon on this blog are part of the Amazon Associate’s program. If one follows links to Amazon from this blog a small percent of the purchase price will accrue so that any purchase of Amazon products coming from this site will support the work on this blog. There is a link to a BOOKSTORE among the tabs at the top of the page as well. Thank you.